These are the most basic of chains. 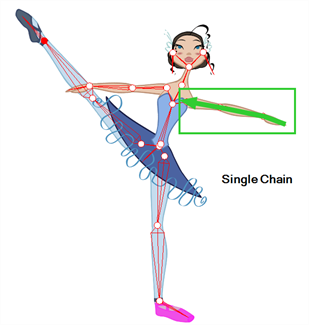 A single chain is a straight line with no secondary chain attached. These link directly to the core of the character rigging. A direct chain is a single chain which goes directly to the core. 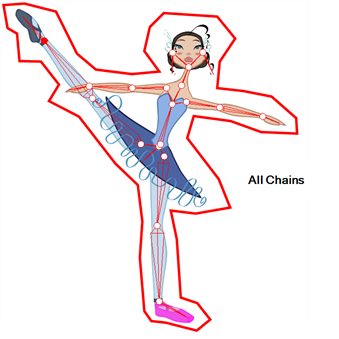 All chains are attached and move simultaneously when one part is moved.